Arizona is quickly becoming one of the best places to buy CBD in the Southwest, with nearly a dozen shops in and around Phoenix, Tempe, Tucson, and more expected in the future. If you’re looking for a local CBD store, we’ve rounded up your go-to CBD shops and briefly profiled each to give you an idea of what to expect. V’Cloud Cafe (15030 N Tatum Blvd, Phoenix, AZ 85032) boasts a perfect 5-star rating, with customers applauding the diverse selection, affordable prices, and top-notch customer service. Established in 2014 as an alternative health and wellness option for smokers, the shop has since expanded its offerings to carry 100% organic e-liquids and high-quality premium CBD oil products. The owners make sure to keep products affordable and available at several price points, and newcomers and experienced CBD users alike are invited to speak with the knowledgeable staff to find the right CBD product on a case-by-case basis. Open seven days a week; Monday-Friday 10AM-8PM, Saturday-Sunday 12PM-6PM. Royal Vapor (1838 West Bell Rd, Phoenix, AZ 85023), established in 2015, is a family business that emphasizes friendly, informative customer service and a wide selection. In addition to some of the best CBD oil products on the market, Royal Vapor offers e-juices, liquids, and much more, in-store and online. Open seven days a week: Monday-Thursday 10AM-9PM; Friday-Saturday 10AM-11PM; Sunday 10AM-8PM. Finally, 4.5-starred YiLo Superstore (2841 W Thunderbird Rd, Phoenix, AZ 85053) is located just around the corner, by the Thunderbird Commerce Center. Reviewers highlight YiL’s great prices and an intimate, friendly atmosphere. CBD selection is varied, with a range of grades for newcomers and experienced enthusiasts. Open seven days a week, no appointments necessary: Monday-Sunday 9AM-10PM. Glendale has a number of great CBD options, as well. Paraphernalia Boutique (4234 W Dunlap Ave, Phoenix, AZ 85051) sets itself apart with knowledgeable staff and fair, affordable price points. Students receive a discount! Open seven days a week: Monday-Thursday 10AM-10PM; Friday-Saturday 10AM-11PM; Sunday 12PM-8PM. By Bethany Marketplace, Juicy Vapes (2609 W Bethany Home Rd, Phoenix, AZ 85017) is home to a wall-to-wall selection of CBD oil products, e-juices, liquids, and other accessories, which has earned it a perfect 5-star rating. There’s a lot to like: prices are highly affordable, first-time customers get a %15 discount on any purchase, and the staff is friendly, helpful, and eager to help you find the right product. Open seven days a week: Monday-Saturday 10AM-8PM; Sunday 12PM-5PM. Best Buds Smoke Shop (1730 E Apache Blvd, Tempe, AZ 85281) has a 5-star rating and carries various CBD products and CBD-infused hemp wraps. BNB Smoke Shop (2722 S Alma School Rd, Mesa, AZ 85210), just down the road, holds a 4.5-star rating on 20 reviews, with customers highlighting the personable staff, affordable price points, and the store’s premium CBD oil tinctures and vape juice. Finally, AH Smoke & Vape (1561 N Cooper Rd, Gilbert, AZ 85233) offers great CBD products, a knowledgeable staff, and cheap prices with online deals available. For those in the Tucson area, be sure to check out some excellent local dispensaries and clinics. 4-starred Tumbleweeds Health Center (4826 E Broadway Blvd, Tucson, AZ 85711) is one of Arizona’s very best shops, voted #1 Certification Center and #1 Education Center. Here you’ll find a wide variety of CBD hemp oil products, plus vaporizers, grinders, rollers, papers, pipes, and accessories at affordable prices. Open Monday-Friday 10AM-6PM; Saturday 10AM-3PM. The Green Halo (7710 S Wilmot Rd, Tucson, AZ 85756) is another popular Tuscon shop, with a variety of great products, including homemade CBD tinctures, concentrates, edibles, and more. Open seven days a week. 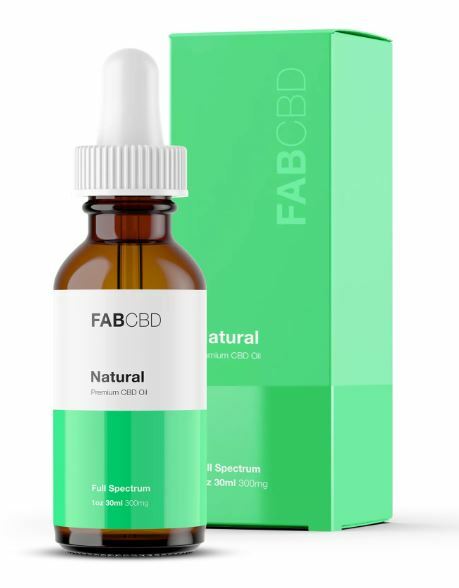 Established in 2013 Green Farmacy Natural Relief Clinic (1191 S Naco Hwy, Bisbee, AZ 85603) welcomes walk-ins to shop the store’s excellent CBD selection. Open seven days a week.